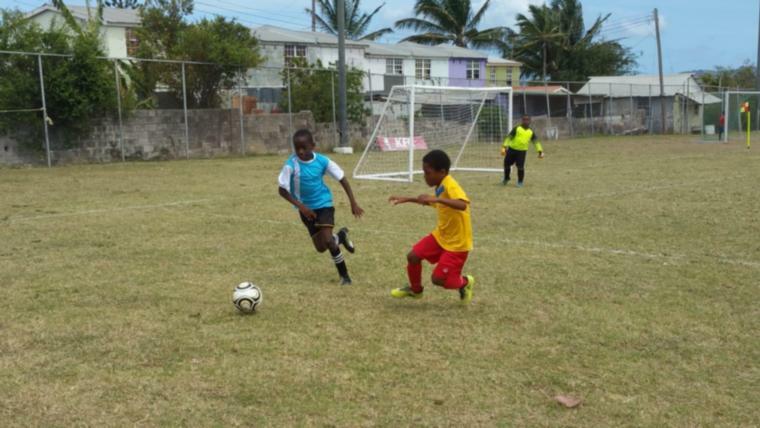 The 2018 Barbados Football Association (BFA) Premier League season finished last weekend, with Neighbourhood Care Pharmacy Weymouth Wales retaining their crown, undefeated. 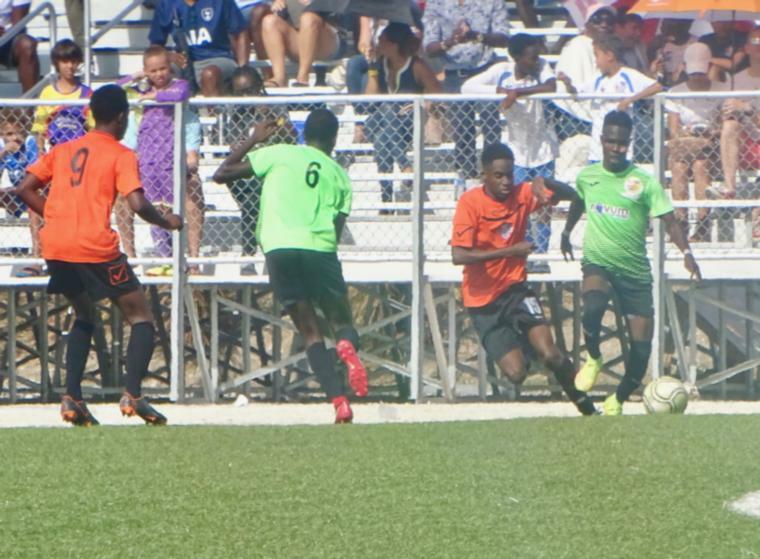 Title number 18 came after they edged Zone 2 winners the Barbados Defense Force Sports Programme (BDFSP) 2-1 in front of the largest crowd for the season. With just the Champions Cup competition left to be decided, let’s see who made the LOOP Team of the Season. Goalkeeper: Omari Eastmond (Wales) - 11 clean sheets was one way of making the Premiership Team of the Season but Eastmond displayed maturity, intelligence and leadership throughout the season and was a major part of his team’s success. Right Back: Rashad Smith (BDFSP) - despite an indiscipline final game, Smith has proven to be one of BDFSP’s core members and a significant cog in their stingy defensive wheel which allowed just 10 goals this season. His powerfully and accurately struck set pieces also served as a valuable weapon for the BDFSP this season. Right Center Back: Shane Codrington (BDFSP) - the skipper often steered the ship through performance rather than talk. A quiet but impactful figure this season and came out of his comfort zone through leadership and confidence. 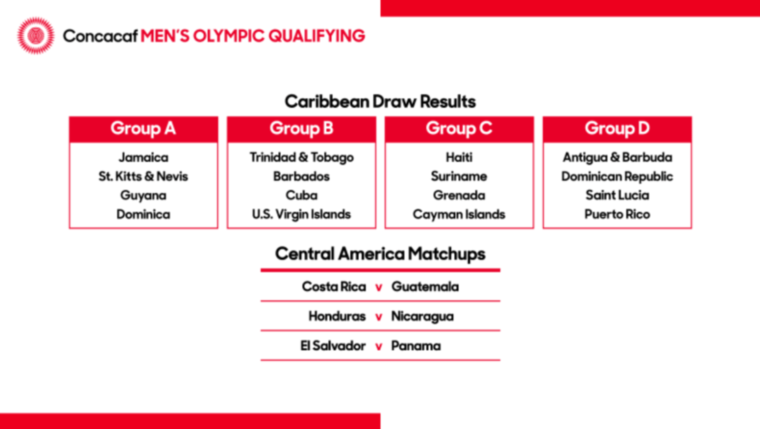 Left Center Back: Germaine Hughes (UWI) - the Anguillan international was the standout defender throughout the league. Composure, confidence and intelligence were standout attributes of the center back, who was a huge reason behind UWI’s success this season. Left Back: Andre Applewaithe (Notre Dame) - the teenage defender has played 1530 minutes this season; more minutes than any other outfield player this season and it is down to his quality and mental prowess. 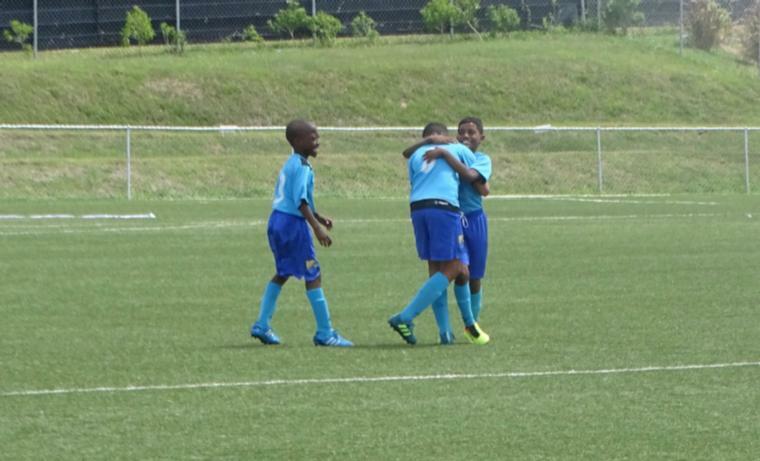 The Combermere student showed no signs of a debutant amongst the big boys- Outstanding season. Right Midfield: Hadan Holligan (Wales) - his 11 goals and six assist were critical to Wales’ retention of the league title. Holligan’s performances were consistent and impactful, as well inspiring. Right Center Midfield: Romario Harewood (Wales) - another high scoring midfielder from Wales. Harewood was exceptional all season; when he was not blasting the ball into the net from 30 plus yards or embarrassing goalkeepers with his dazzling free kicks or embarrassing defenders, he was simply amazing all season (12 goals from midfield). 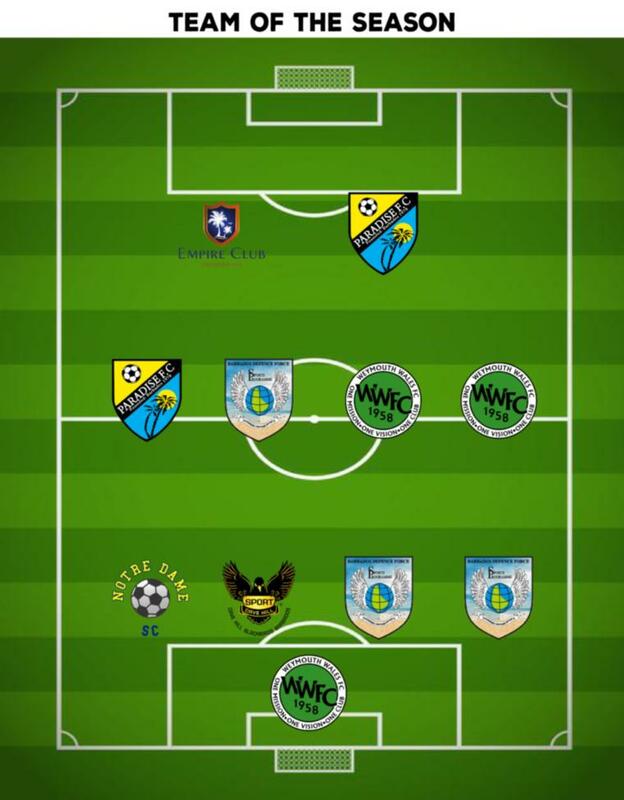 Left Center Midfield: Omani Leacock (BDFSP) - after being out for a major part of the season, the national midfielder returned with authority, registering three hat-tricks and leading his team into the final. At only 18 years old, the versatile Applewaithe was one of the leaders in a re-inspired Paradise unit which went from fifth place midway through the season to competing for the Third Place Playoff on the final day. 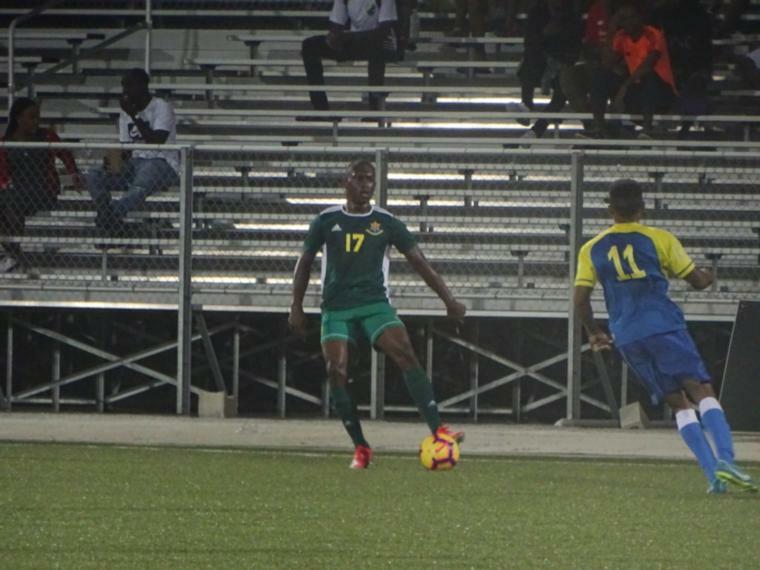 Right Forward: Armando Lashley (Paradise) - after a rough start to the season Lashley reminded Barbados of his quality, with a number of key goals and performances, most memorably versus the BDFSP. Lashley’s 11 goals of the season helped to propel his club into Third Place Playoff. Left Forward: Jabarry Chandler (Empire) - despite a late start to the league, Chandler managed to score 18 goals and was the top marksman of the 2018 Premier League season.